Distributed systems are hard – I just want to echo that. 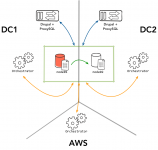 In MySQL, we have quite a number of options to run highly available systems. However, real fault tolerant systems are difficult to achieve. 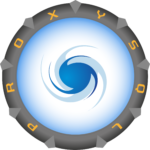 ProxySQL in its versions up to 1.x did not natively support Percona XtraDB Cluster (PXC). Instead, it relied on the flexibility offered by the scheduler. This approach allowed users to implement their own preferred way to manage the ProxySQL behaviour in relation to the Galera events.